Dental care is always the key in achieving a healthier mouth. In fact, this method plays an important role in maintaining the overall general health. Sadly, not all of us know this. This is the primary explanation why dental neglect is widely practiced by individuals. Fortunately, you can always run to your dentist especially now that a 24 hour dentist service is offered. If it is your first time to visit a dentist, you’ll discover a lot of things, including the use of dental x-rays. This dental instrument comes with several types – all created to detect dental problems. The most common dental x-ray type is the bitewing. Bitewing identifies dental problems that are not visible to our naked eye. Other dental x-ray types that hit the public big time are Panorex and of course, Cephalometric dental x-ray or the CEPH. Cephalometric dental x-ray is a type of x-ray that captures images to identify a certain dental problem. Unlike other x-ray devices, CEPH captures your skull. This is why this device is very beneficial to orthodontists. Orthodontists are well-known experts that diagnose dental issues related to your jaw and bite which is clearly where a cephalometric dental x-ray is good at. Since it can capture the entire skull and your jaw, individuals who love dental braces can make the most of this. Cephalometric dental x-ray allows your dentist to measure or assess the level of irregularities of your mouth or facial profile. Majority of orthodontists considered cephalometric dental x-ray as the best orthodontic tool. So if your dentist suggested this tool to you, expect a superb dental x-ray experience. Cephalometric dental x-ray or also known as CEPH is an extra-oral x-ray type. This means, the film doesn’t come from the inside. It is on the outside. This dental x-ray is good at spotting impacted teeth, jaw growth and development and even the potential risks of Temporomandibular Joint Syndrome or TMJ. In most cases, orthodontists use this device in orthodontic planning. Orthodontic planning is about diagnosing jaw and bite problems. Since the device can picture your whole jaw, your dentist can easily detect misalignment problems. No wonder why experts use this device in treatment planning. Once the device captures the image of your facial profile, your dentist can immediately gauge your jaw, including its surrounding bone. After calculating the possible current welfare of your jaw, your dentist can construct the most appropriate treatment for you. Cephalometric dental x-ray can also provide help in treating sleep apnea. Sleep apnea is a type of dental disorder that makes people stop breathing during their slumber. Since cephalometric dental x-ray captures your entire skull, it can display your airways. Dental x-rays are becoming more in-demand to masses. With cephalometric dental x-ray, your issues related to your jaw or facial structure can be easily fixed and handled. Of course, the effectiveness always relies to your dentist. That is why it’s always recommended to ensure you are working with a good and trusted dentist to get a trusted result. Cephalometric dental x-ray functions like Panorex dental x-ray. It captures a single picture of your skull. The images provided are clear which helps your dentist to view your teeth and its surrounding bones with ease. As outlined by research, cephalometric dental x-ray is on standard panoramic machine. It has a film-holding arm which is attached to one side. The pictures taken by this device are easily displayed on screen and can be printed right away. Most cases, it only takes 10 seconds to view the images. After that, the pictures are ready for printing. One thing you’d love about cephalometric dental x-ray or CEPH is it doesn’t expose you from radiation. Unlike other x-rays, it comes with no pain and is extremely convenient especially for those with dental fear! 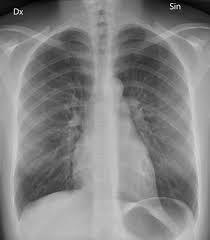 You can also choose the type of x-ray pictures to see – either the conventional radiographic film or the digital one. Plus, the images aren’t pixilated. So your dentist can easily maximize the images thru the computer. If you’re interested with CEPH, you can always ask your dentist. Just make sure he can be trusted and knows how to handle this type of dental device.